The weather has been extremely cold lately and I wanted pop in and make a few style suggestions for your little one this Winter. 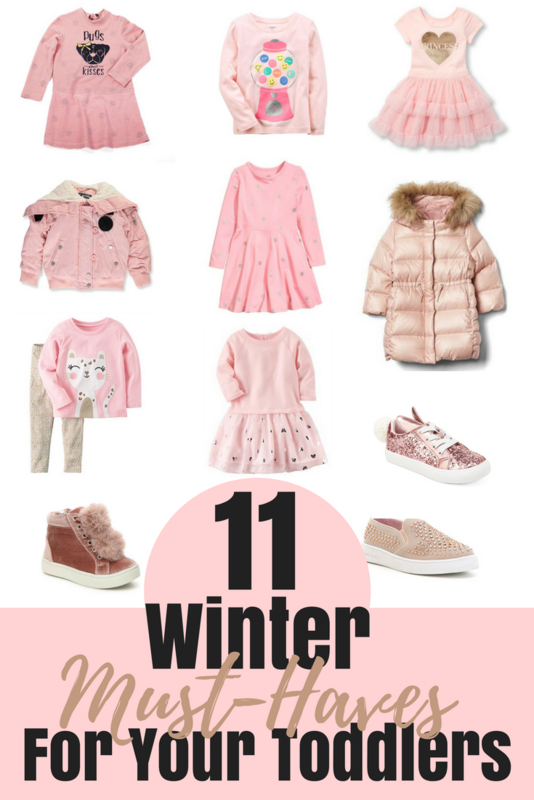 Just because it's nippy outside, doesn't mean your little cutie's style has to be compromised! If you favor the blush tone, you'll love these trendy picks. Brielle Faux Fur High Top Sneaker. 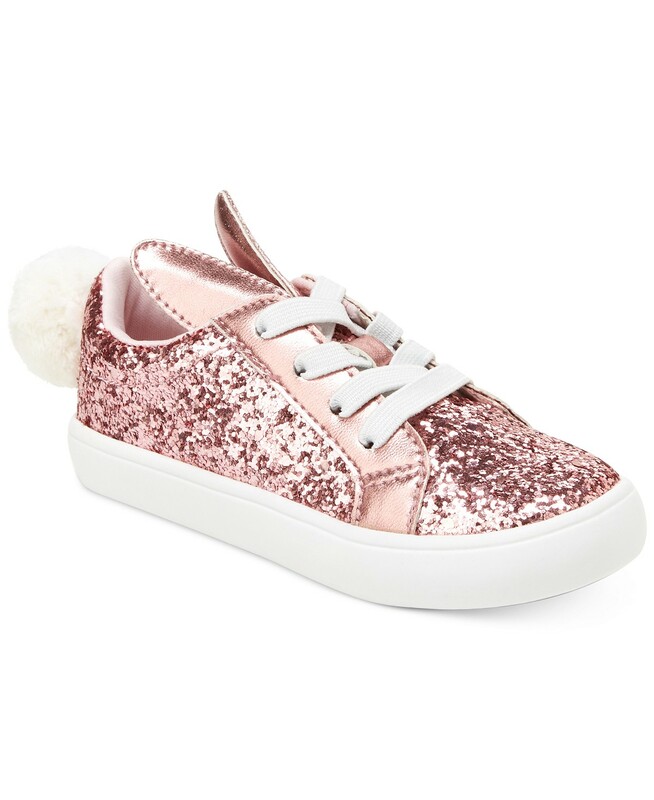 Aren't these the cutest shoes you've ever seen for little girls? I mean, seriously! I had to top the list with one of the most fashionable pair of shoes I've come across for the mini fashionistas. With the velvet trend on a hiatus, your mini is sure to steal the show! Carter's Little Girls Bow Tutu Dress. This dress screams simple, cute, and fun! Throw on a pair tights and she's good to go. Michael Kors Slip-On Sneakers. Catch these slip-ons on sale, right now at Dillard's! You can pair these super casual shoes with just about anything in your daughter's wardrobe. The best thing about them, they're perfect to wear all year long! Carter's 2 Piece French Terry Top and Leggings Set. This two-piece set is so casual to wear anywhere. 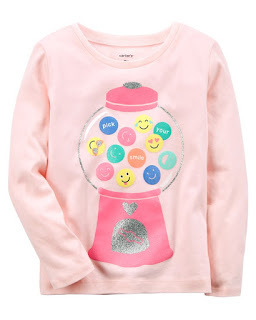 Carter's Pink "Pick Your Smile" Printed Top. Here's a cute and casual top that your baby girl can wear with anything as well. You can dress it up, or down and go about your day. 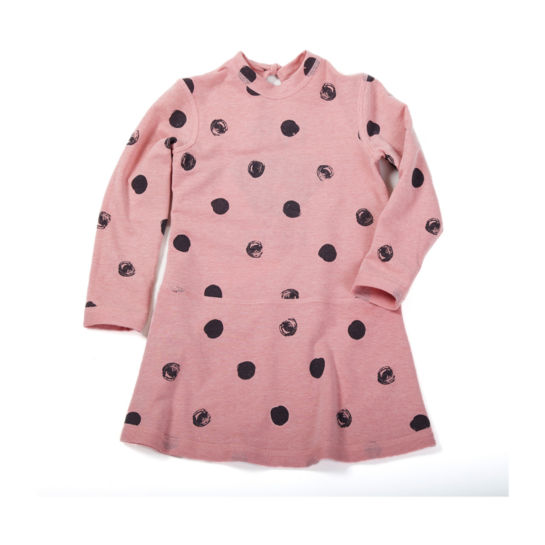 H&M Jersey Polka Dot Dress. I absolutely love H&M! They always carry amazing styles, with amazing prices. Reversible Polka Dot Drop Waist Dress. 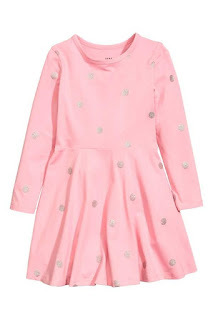 What's better than an expensive and stylish dress for your little one? A reversible, inexpensive, dress. Children's Place Glitter Mesh Tutu Dress. 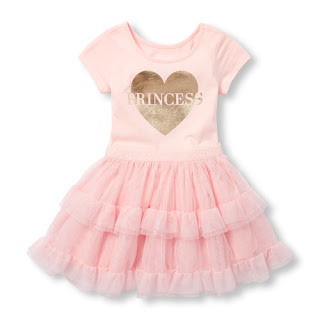 Nothing screams mini diva like a "Princess" dress. I love pairing my daughter's dresses with cute, glittery sneakers. How about you give it a try and tell me all about it! Gap Puffer Parka Coat. This coat is a bit of an investment, but how can one resist? 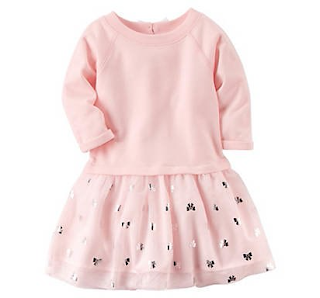 I always purchase outwear a size or two larger, so that my little ones can have them to wear for a couple of years. Carter's Glitter Sneakers. Carter's truly impressed me with these bunny sneakers. What a way to fuel your daughter's imagination, by gifting her these cute shoes! They're also a nice pair to keep around for Easter- hence the bunny! Steve Madden Insulated Jacket. I wanted to save one of the cutest finds, for the last. 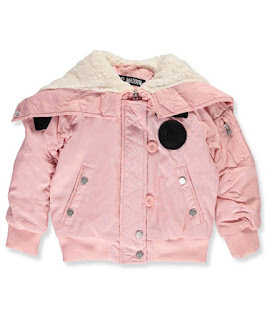 I'm not huge on designer for my little one, but if it's worth it, I will indulge. This jacket is perfect for on the go and can be worn with anything as well. 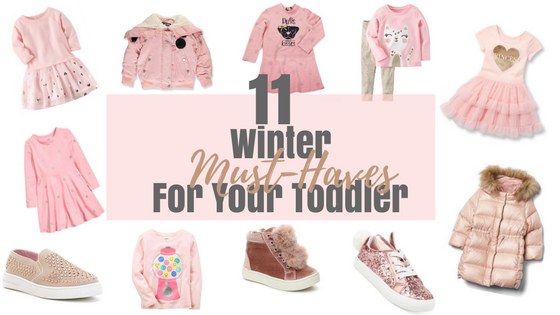 I hope you enjoyed this list of winter must-haves for your baby girl! Again, these are just a few of my favorite finds. I thought that they would be super fun to share! Until next time.